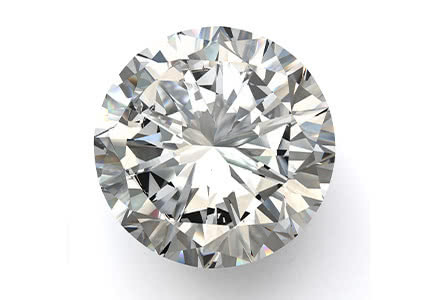 While many diamonds are spread too shallow or cut too deep to retain weight from the original rough — at a dramatic sacrifice of potential Brilliance, Fire and Scintillation — a Fire &Ice Diamond is cut to precise angles and proportions to maximize the radiant light and sparkle that emerge from the top. Diamonds cut to the precise portions will reflect and refract light in a vivid display of Brilliance, Scintillation and Fire. Every Fire & Ice Diamond consistently delivers a bigger, brighter and whiter appearance. 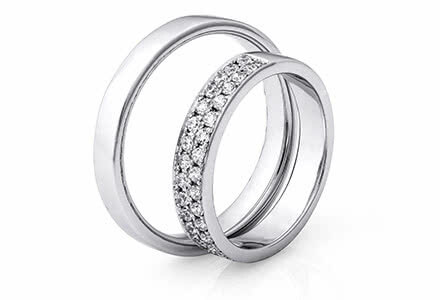 That’s because Fire & Ice has a narrower set of acceptable proportions than GIA Excellent and AGS Ideal cut diamonds. When you compare any two Fire & Ice Diamonds, you’ll notice how remarkably similar they are in proportion, polish and symmetry. The precise angles of the Fire & Ice Diamond facets give it the largest diameter possible while efficiently reflecting light through the top. This allows the diamond to avoid light leakage and the “fisheye” effect. The Fire & Ice Diamond appears even larger than most other GIA Excellent and AGS Ideal cut diamonds. When a diamond is cut to Fire & Ice proportions, the light entering from any direction is completely reflected through the top as white light (Brilliance) dispersed rainbow colors (Fire) and sparkling flashes (Scintillation). Inside the diamond, the facets act as mirrors — and it is the careful arrangement of these facets to achieve maximum Brilliance balanced by Fire and accented by Scintillation that is the secret to the luminous Fire & Ice Diamond. 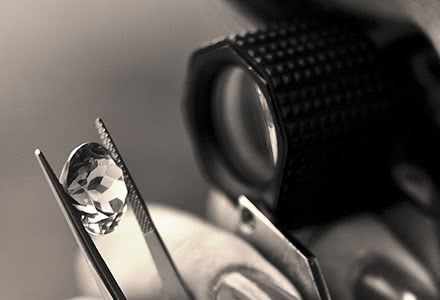 The immense Brilliance of the Fire & Ice Diamond is the result of white light reflected through the top of the diamond. This is what allows a Fire & Ice Diamond to appear one or two color grades better than its actual GIA color classification.